Danny Buchan led the way as the action got underway in the fifth round of the 2018 Bennetts British Superbike Championship in the sunshine at Knockhill. 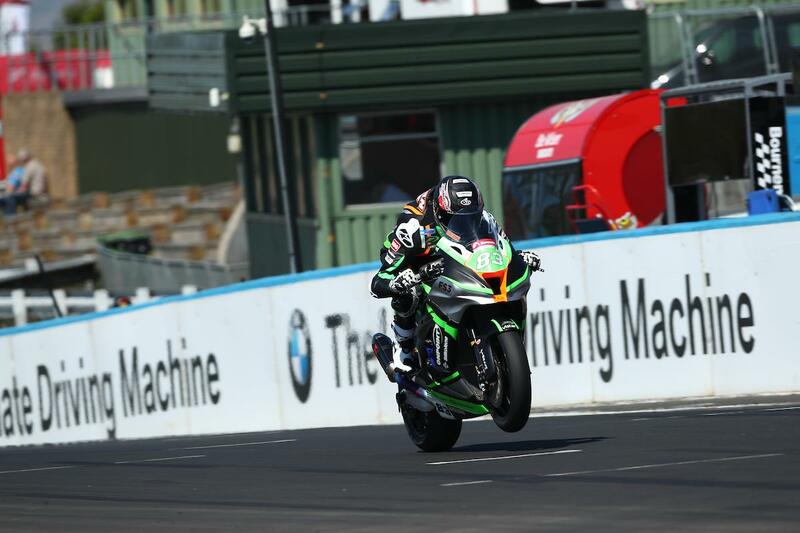 The FS-3 Racing Kawasaki rider pipped best mate Jake Dixon to the top spot by 0.005 seconds after a frenetic second session saw the top eleven riders lap quicker than Michael Laverty’s outright lap record thanks to a fully re-surfaced 1.3-mile circuit. A rejuvenated Michael Laverty was third quickest after taking a step forward with his Tyco BMW S1000RR during testing. Richard Cooper was fourth for Buildbase Suzuki, ahead of Ulsterman Glenn Irwin who was riding happy having just signed a new deal with the Be Wiser Ducati team for 2019. Rookie Andrew Irwin placed seventh on the second PBM machine with Bradley Ray eighth quickest on the opening day. Leon Haslam, who topped the morning session, was just ninth quickest after crashing out mid-session on entry to the first turn. While the series leader was OK after the crash, his bike couldn’t be taken back to the garage leaving him to watch from the sidelines. Christian Iddon rounded out the top ten on the second Tyco BMW. Making their debuts in the Superbike class at Knockhill, Chrissy Rouse was 21st quickest for Movuno Halsall Suzuki. Fraser Rogers 23rd for Gearlink Kawasaki and Luke Hedger 24th with PR Racing BMW.